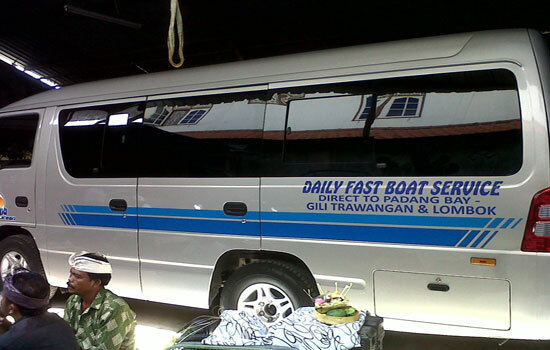 A new brand of fastest and spacious speed boat shuttle service to escape from Bali to Lombok and Gili Trawangan. 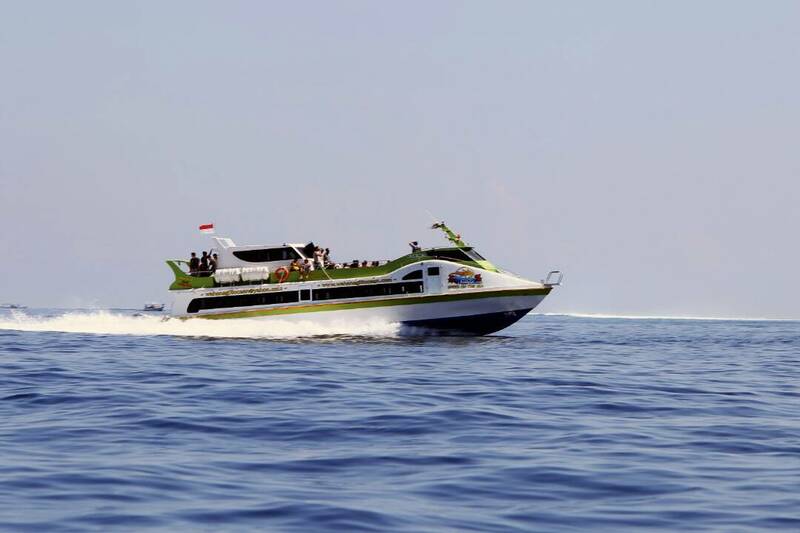 Wahana Gili Ocean offers the fastest transfer and possible crossing the sea only an hour. 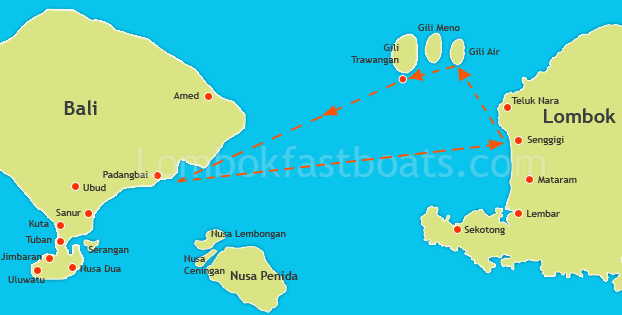 The route of transfer which offered by Wahana Gili Ocean is only from Padangbai to Lombok (Senggigi), Gili Air, Gili Trawangan and return. 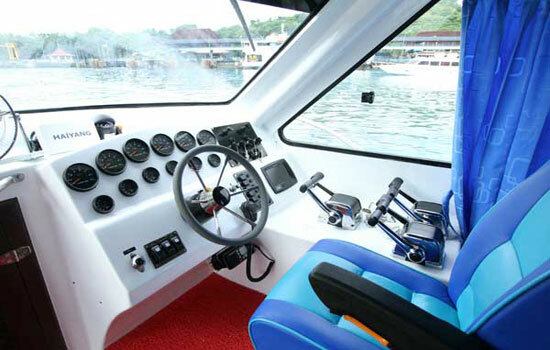 The a fast boat accommodates up to 32 and 60 passengers at a cruising rate of 30 knots in comfortable room. 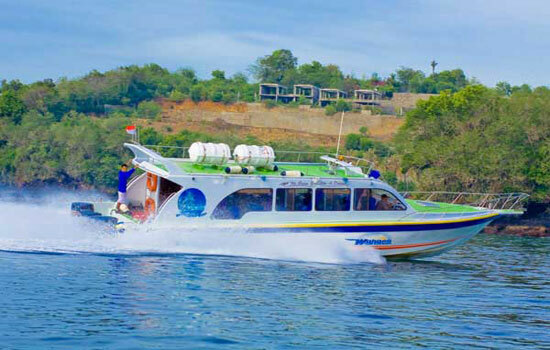 The boat vessel fulled convenience of customized seating, a sun deck, a cabin entertainment system and clean facilities ensures, crossing Lombok and Gili Island from Bali only one and half hours. 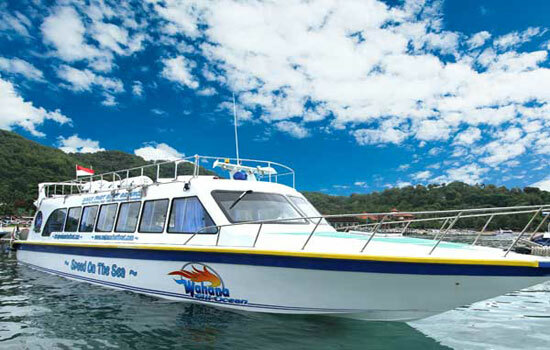 Wahana Gili Ocean is one of recommended fast boat for the people who want visit Lombok Island. 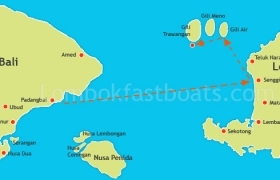 The fast boat depart from Padangbai harbor, landing first in Senggigi (Lombok) and then continue transfer to Gili Air and Gili Trawangan. 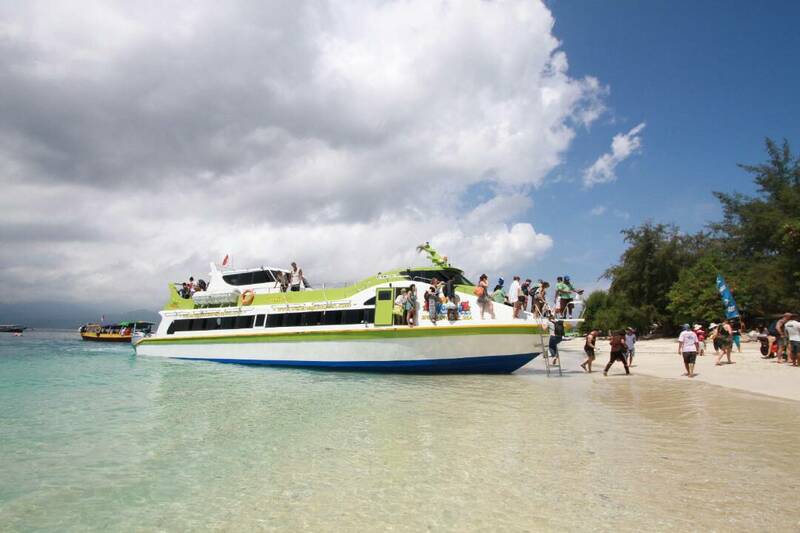 On the high season (June, July, August and September) Wahana Gili Ocean open 2 schedules (Departure from Padangbai at 09.30am and 13.00pm). 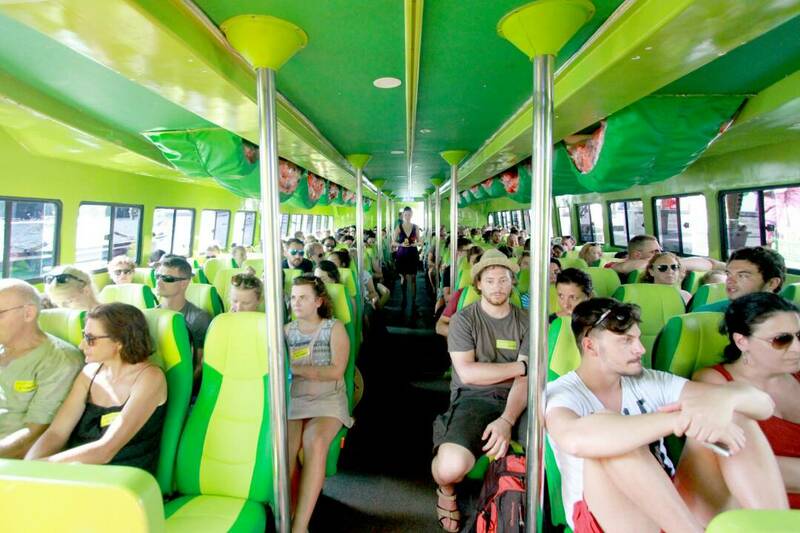 The ticket also includes free pick up and drop service in Bali ( base on sharing), cover Nusa Dua, Jimbaran, Kuta, Legian, Seminyak, Sanur, Candidasa, Ubud Center and Padangbai area. Detail pick up time can be found in the ticket and we will inform you again 2 days before departure to your e-mail. 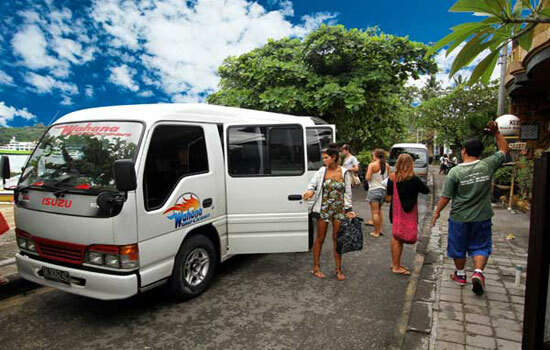 Free pick up and drop off is available only in Bali area. If you need pick up or drop service in Lombok, you should pay extra about IDR 150.000 Per car (1-4 persons). 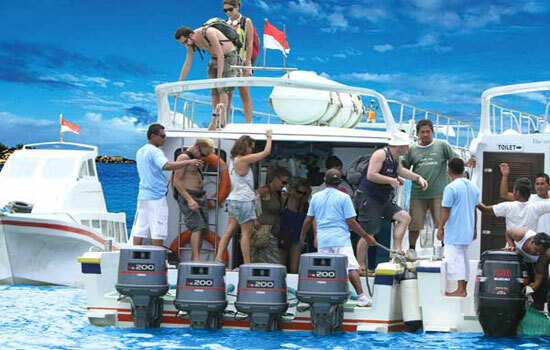 Get Wahana Gili Ocean ticket is very easy, please follow the step of our online booking on the top of this page. After finish the booking with do payment, you will get e-ticket automatically. 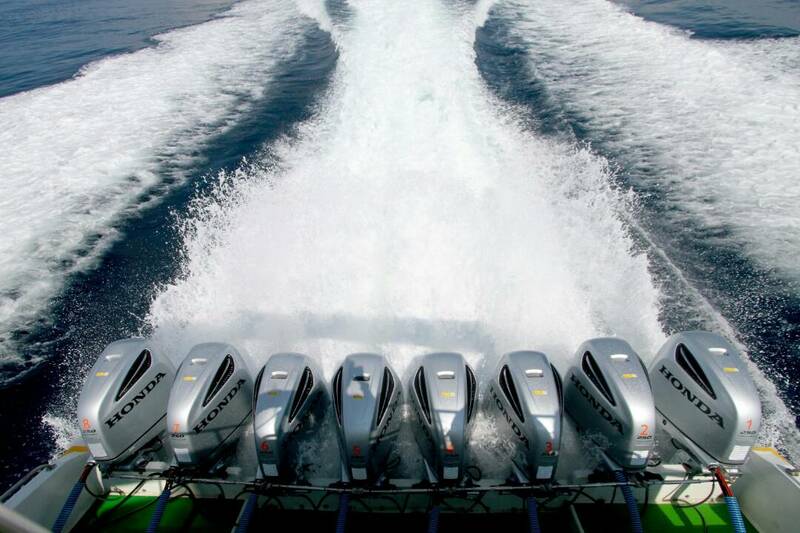 Please print the ticket and show to the staff of fast boat, when you check in. 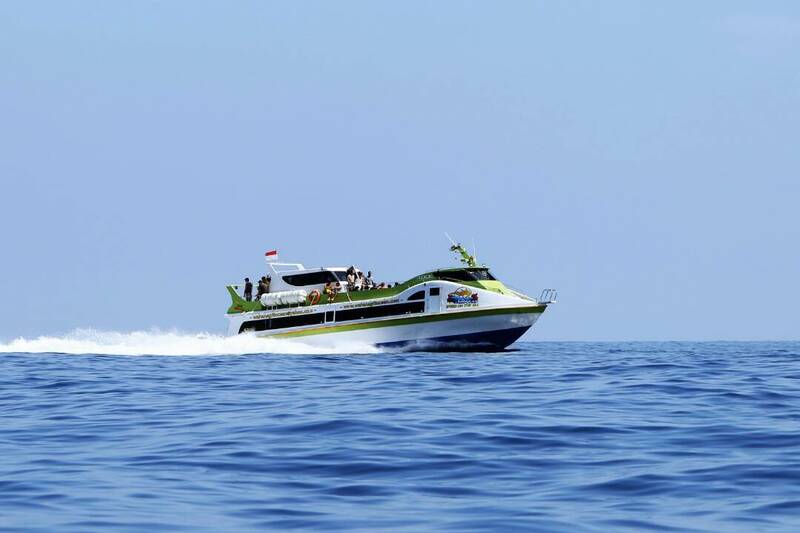 You must pay extra IDR 25.000, if you bring a surfing board. If you have connecting flight from Bali and the flight depart before 18.00pm, going from Lombok to Bali by fast boat is not recommended.